simple, but how i’m feeling right now. this piece of art i purchased recently and framed. i don’t think i could have found a more perfect frame for the words. it sits in my house and i look at it daily and it reminds me of where i am in life. i don’t expect anyone else to understand and that’s okay. 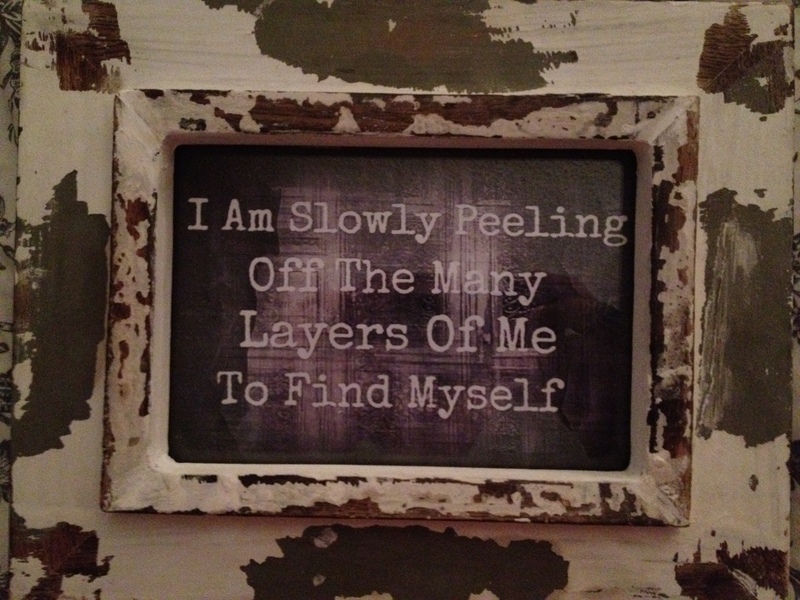 This entry was posted in my own brand of crazy and tagged finding happiness, finding oneself, new hobby, peeling off the layers. Bookmark the permalink.